The Florida Department of Environmental Protection is revoking the permit for the Rolling Hills Construction and Demolition Debris Disposal Facility in Escambia County and will file suit against the operators. The Notice and Order of Revocation issued to South Palafox Properties, LLC alleges that compliance issues at the Rolling Hills Construction and Demolition Debris Disposal Facility located at 6990 Rolling Hills Road in Pensacola constitute violations of Florida law. Such compliance issues include the facility operating outside permitted dimensions and failure to implement the Remedial Action Plan approval order issued by the department on July 3, 2013. The department will file a lawsuit against South Palafox Properties, LLC seeking a judgment that will order the company to resolve compliance violations and comply with department orders. 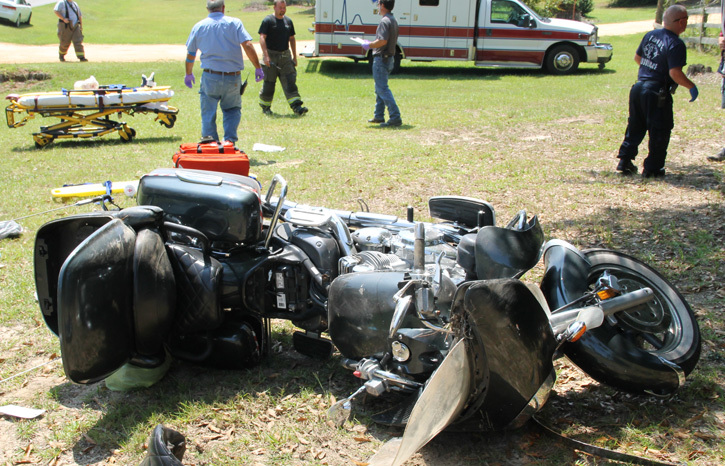 A motorcyclist refused medical treatment after a wreck late this morning near Bay Springs. 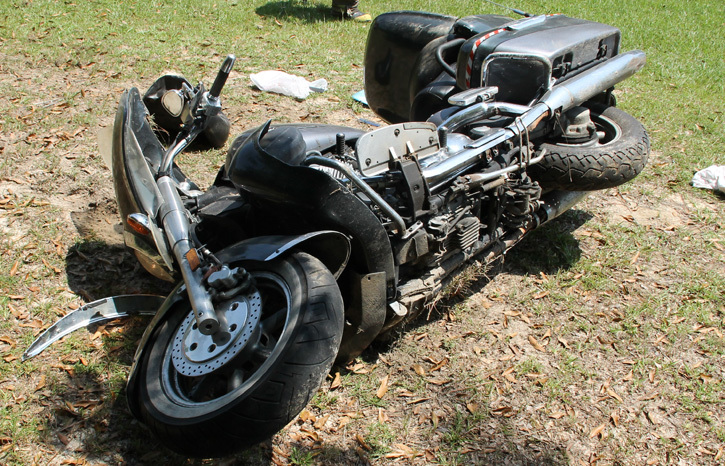 The male in his 50’s lost control of his motorcycle on Highway 99 south of Highway 97, ran off the roadway and flipped. The accident was investigation by the Florida Highway Patrol. 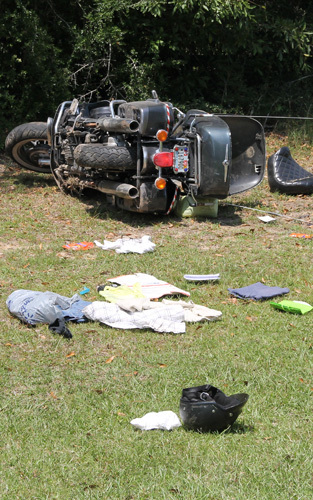 The Walnut Hill and Molino stations of Escambia Fire Rescue, Atmore Ambulance and the Escambia County Sheriff’s Office also responded to the the 11:10 a.m. crash. An Escambia County man is behind bars today after a SWAT stand off Wednesday night. 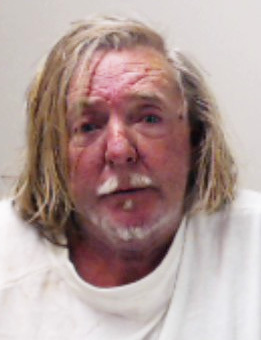 Just after 7 p.m. Wednesday, the Escambia County Sheriff’s Office responded to a shots fired disturbance in the 1000 block of North 57th Avenue where they discovered 61-year old Dennis Scott Dunbabin had allegedly fire a handgun at two people. There were no injuries. Dunbabin entered a residence, and when repeated attempts to make contact with him failed, the SWAT team responded. Abourt four hours later, Dunbabin was taken into custody and charged with possession of a firearm by a convicted felon, discharging a weapon in public and aggravated assault. He was booked into the Escambia County Jail without bond. University of West Florida network users are being urged to change their passwords after the campus network was hacked. Officials say the information for at least 160 people, both students and non-students, may have been compromised. UWF said unauthorized activity by individuals on certain portions of the Pensacola main campus network has been discovered. It is believed that individuals attacked the network to intercept UWF ArgoNet usernames and passwords for approximately 90 people, as well as usernames and passwords for non-UWF systems (Facebook, Twitter, Hotmail, etc.) for approximately 70 people. These affected users will receive a separate notification from UWF by close of business this Friday, according to the university. UWF said further steps have been taken secure their network from further attacks. At this time, the university believes those most at risk are those who have used the network in the following UWF main campus buildings within the last 12 months: the John C. Pace Library, Building 4 (Science & Engineering) and UWF residence halls. The university is strongly urging all individuals with UWF ArgoNet accounts to change their ArgoNet passwords as soon as possible. In addition, this network attack may affect members of the general public who have utilized services of the John C. Pace Library within the last 12 months. For that reason, UWF is strongly urging anyone who has accessed online accounts by using computers or the network in the John C. Pace Library during this time to change passwords for those accounts as soon as possible. A community blood drive will be held Sunday at Aldersgate United Methodist Church on Highway 97 from 8 to 11 a.m. and then at Highland Baptist Church on Highway 95A from noon until 3 p.m. Requirements for giving blood are listed below. At least 17 years of age, without permission. 16-year olds with permission granted by parents or legal guardians. All military personnel (active & reserve) that are returning from Iraq, are deferred for a period of 1 year after the last date on location in that country. A potential garbage and recycling agreement between Escambia County and the Emerald Coast Utilities Authority is on the table for discussion. The agreement was brokered and announced by State Rep. Clay Ingram after a series of meeting with both sides. After the flooding, closure and bankruptcy of West Florida Recycling in Pensacola, ECUA recently entered into a two year agreement with the Infinitus Energy Park (IREP) in Montgomery. ECUA earns $10 per ton for single stream recyclables trucked to Montgomery — enough for the transportation and a net profit of a few dollars per ton. The potential agreement brokered by Ingram would see a private company construct a similar facility in Escambia County — both the county and ECUA have acknowledged the lack of financial capacity to build and operate such a facility themselves. ECUA and Escambia County would work to reach the state’s 75 percent recycling goal reducing disposal costs and solid waste collection and extend the life of the Perdido Landfill. The regulatory and permitting authority over sold waste in Escambia County would remain with the county and the Florida Department of Environmental Protection. Escambia County and the ECUA would agree to eliminate or drop all legal challenges and regulatory and operational impediments via action by the Board of County Commissioners (BCC) and/or the ECUA Board. A public/private partnership will be developed utilizing the most viable technology to advance the practice of recycling in Escambia County and the surrounding region via an advanced mixed materials recycling facility (AMMRF). The AMMRF would be located in Escambia County, along with the 120-220 jobs it will provide. The selected private vendor would determine the most feasible and economically advantageous site on which to construct the AMMRF within Escambia County. Sites will be suggested by the county and ECUA, and the final site will be selected by the private contractor based on sound business considerations. Escambia County and the ECUA agree to allow the project to proceed without legal challenges. The facility would be entirely funded by the private vendor, with no capital, operating or property acquisition expenditures from the county or ECUA. This means there would be no cost to either the County or the ECUA. The estimated $35-$50 million investment for the property and the AMMRF will be the sole responsibility of the private vendor. Escambia County and ECUA agree that monies required for Escambia County programs that were previously funded through tipping fees at the Perdido Landfill would be provided through operating cost savings at the Perdido Landfill, host fees paid by the vendor for all tonnage delivered to the AMMRF for processing, the economic benefits from property taxes and jobs created at the facility, and a reasonable increase in the existing commercial waste franchise fees and/or a new franchise fee on residential solid waste collection. An appropriately sized Perdido Landfill would continue to be operated by Escambia County to accept residue from the AMMRF, bulk waste, special waste, and other materials that cannot be processed at the AMMRF. There will be an interlocal agreement between Escambia County and the ECUA to support the public/private partnership. The county would remain responsible for disposal of solid waste; the ECUA would be responsible for collection of solid waste, and the private company would be responsible for construction, operation and all of the costs associated with the AMMRF. The ECUA and the county would guarantee their waste streams would be delivered to the AMMRF for processing. 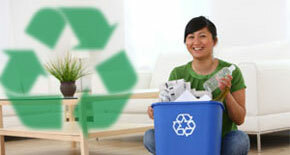 Any residue would be disposed of at the Perdido Landfill. The private sector partner will be selected and the contractual details negotiated as expeditiously as possible. Other agencies in adjoining counties and states would be encouraged to utilize the facility with a host fee applied to the tonnage that is processed at the facility. The host fee would be received by Escambia County. The proposed agreement is expected to go before the Escambia County Commission on August 12 and the ECUA Board on August 28. “Speedy adoption of the proposal is imperative as interests from outside of the region have shown intent to build a recycling facility here without participation from either party, which would have a devastating financial impact on our community. I am excited about the spirit of cooperation exemplified by both parties for the good of our community and look forward to working together to seeing the project completed,” Ingram said. A Century woman that allegedly chased down her estranged husband and his new girlfriend and tossed a brick through his car windows has been sentenced to probation. Judge Michael Allen placed 29-year Tasia Valenta McCall on probation for 36 months while withholding adjudication on criminal mischief and aggravated assault with a deadly weapon charges. Additional charges of deadly missile and aggravated assault were dropped. McCall was also ordered to pay $718 in fees and court costs. The victim told deputies he and his girlfriend were driving along Highway 29 south of Century when McCall began to follow them and attempted to maintain contact. When they arrived at their destination on Hilltop Road, McCall followed them down a long driveway. 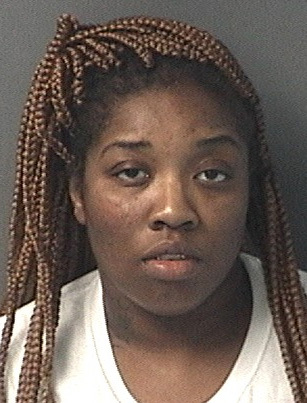 Before they could exit the vehicle, McCall began cussing and yelling at them before tossing a brick though the rear window of the occupied vehicle, according to an Escambia County Sheriff’s Office arrest report. There were no injuries. A job fair for the 2014 peanut season will be held today in Jay. The job fair will take place at the Jay Community Center from 8 a.m. until 4 p.m. Positions are available for seasonal help in Jay or Allentown. Attendees should bring two forms of identification and be prepared to stay for an interview. 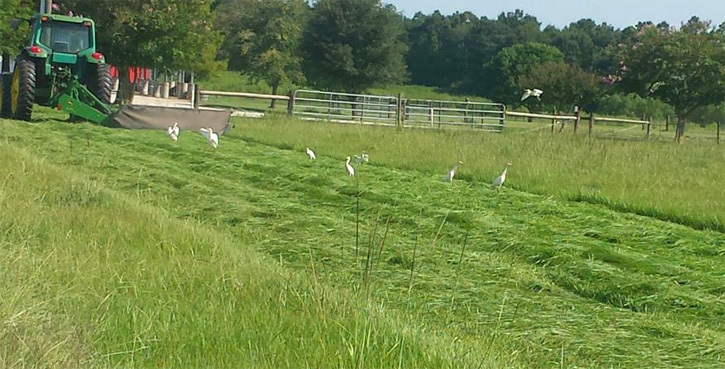 Pictured: A Molino farmer took advantage of dry, sunny weather Wednesday to cut hay. Photo courtesy Escambia County Extension for NorthEscambia.com, click to enlarge. Thursday Night Partly cloudy, with a low around 66. North wind around 5 mph becoming calm in the evening. Friday A 20 percent chance of showers and thunderstorms. Mostly cloudy, with a high near 92. Calm wind becoming northwest around 5 mph in the morning. Friday Night Mostly cloudy, with a low around 69. North wind around 5 mph becoming calm. Saturday A 50 percent chance of showers and thunderstorms. Mostly cloudy, with a high near 92. Calm wind becoming west around 5 mph in the afternoon. Saturday Night A 30 percent chance of showers and thunderstorms. Mostly cloudy, with a low around 71. West wind around 5 mph becoming calm in the evening. Sunday A 50 percent chance of showers and thunderstorms. Partly sunny, with a high near 91. Calm wind becoming south around 5 mph in the morning. Sunday Night A 30 percent chance of showers and thunderstorms. Mostly cloudy, with a low around 69. South wind around 5 mph becoming calm. Monday A 40 percent chance of showers and thunderstorms. Partly sunny, with a high near 90. Monday Night A 20 percent chance of showers and thunderstorms. Partly cloudy, with a low around 69. Tuesday A 30 percent chance of showers and thunderstorms. Mostly sunny, with a high near 91. Tuesday Night A 20 percent chance of showers and thunderstorms. Partly cloudy, with a low around 70. Wednesday A 30 percent chance of showers and thunderstorms. Mostly sunny, with a high near 90. 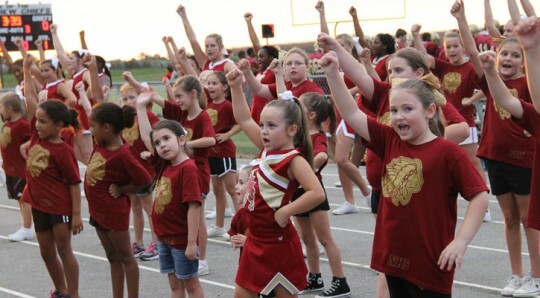 The Northview High School cheerleaders will host their annual mini-cheerleading camp next week. The camp will be held August 5 from 4-6 p.m. and August 6 from 1-3 p.m. Registration is $25 for the camp or $35 for the camp and a shirt. The camp is open to anyone age three through the eighth grade. Mini-cheerleaders will admitted into the first Northview football home game for free and cheer the entire first quarter with the varsity NHS cheerleaders.